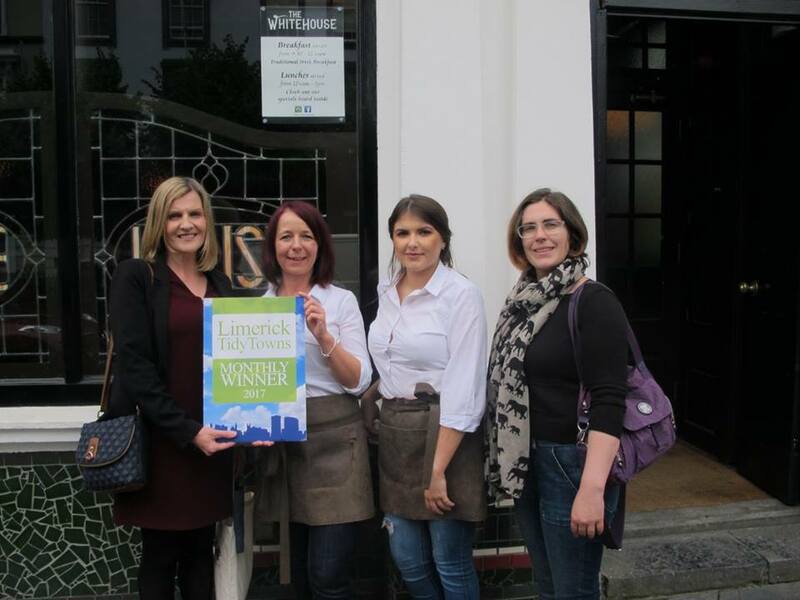 The Limerick City Tidy Towns monthly award for July 2017 has gone to The White House Bar at the corner of Glentworth Street and O’Connell Street, not only for their impeccable refurbishment of such a landmark Limerick pub, but also for their great support in allowing us to hold events and weekly meetings there. Pictured outside the pub being presented with the award by Maura and Sharon Slater are Sabina Begger and Sarah Carroll from The White House. The White House has always been a great supporter of Limerick City Tidy Towns, having been our Wednesday evening meeting spot since we formed back in 2015, either for clean-ups during summer months or committee meetings in the winter. We were therefore very sorry to see it close in 2016, but delighted when the new White House started to take shape, with original features such as the signage and light fittings being repaired and enhanced, resulting in the beautifully sympathetic refurbishment that we see today. Our monthly award is therefore given both for the positive impact The White House has on the streetscape in the heart of the city, and its continuing support to our work, including hosting our annual awards event in January to announce the overall winner for 2017. The White House Bar dates back to 1812, and as such has huge historical significance as one of Limerick’s oldest and best known public houses, frequented down the years by figures such as Frank McCourt, Richard Harris and Jack Charlton. This history was not lost on its new owner, former Munster and Ireland rugby player, Damian Varley, when he bought it in 2016 after it had fallen into noticeable disrepair, and he lovingly restored it to its former glory, without losing any of its important historical traditional features. While the bar has been modernised and has more of an upmarket feel than in the past, it very much retains its charm and atmosphere of a traditional Limerick pub, and is well worth a visit either by day for lunch, or to enjoy a drink with great company in the evening. 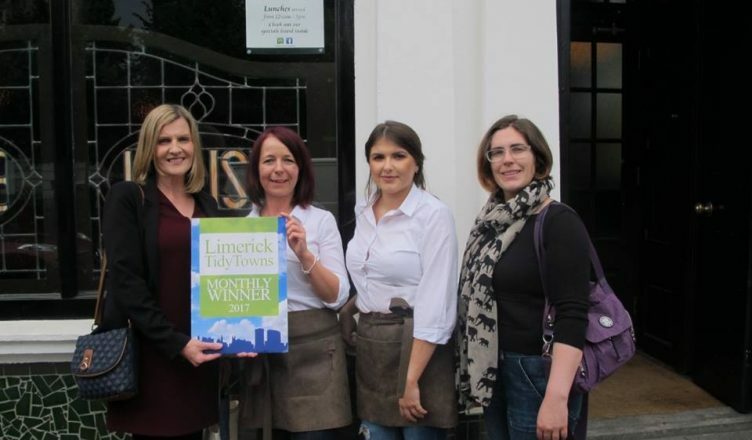 The White House is the seventh Limerick City Tidy Towns winner for 2017, following Bluebird Care in June, Enzo’s in May, Billy Higgins Clothing in April, No 1 Pery Square in March, Casey’s Londis Mount Kennett in February and Narrative 4 in January, and all monthly winners will be in with the chance of winning the overall prize for 2017 at the annual Tidy Towns event to be held early in 2018.